Shine bright like JoJo with over 30 pull-out posters for your locker, cubby, and bedroom! Nickelodeon and television star JoJo Siwa is a sweet and sassy teen with a can-do attitude who dazzles fans with her love of dance, bows, and her dog, BowBow! With JoJo photos and cool, graphic treatments of motivational sayings, these decorations will keep you doing your best at school, at home, and all day long. 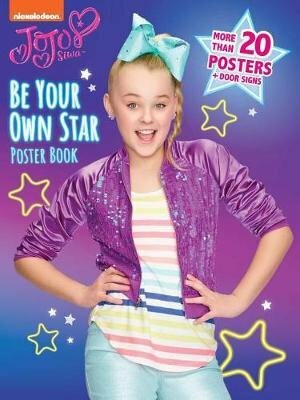 This poster book is a can't-miss item for Siwanatorz and all rising stars!